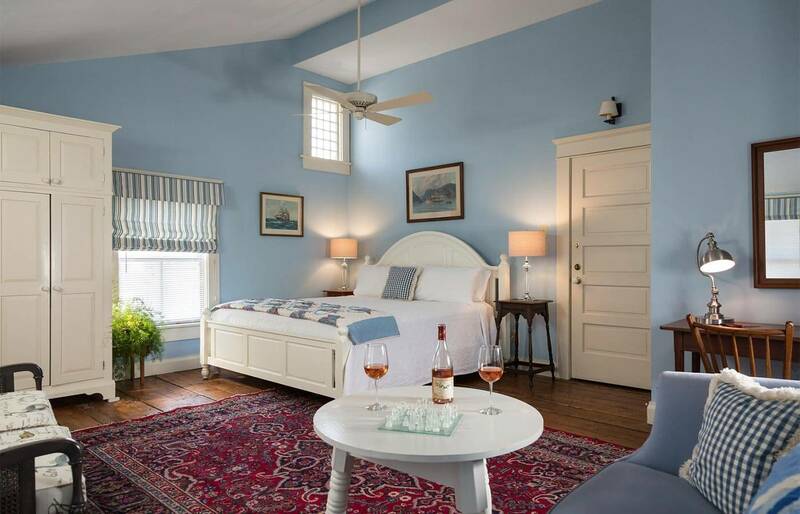 Yeopin Suite in our Romantic North Carolina Hotel, Breakfast Included! 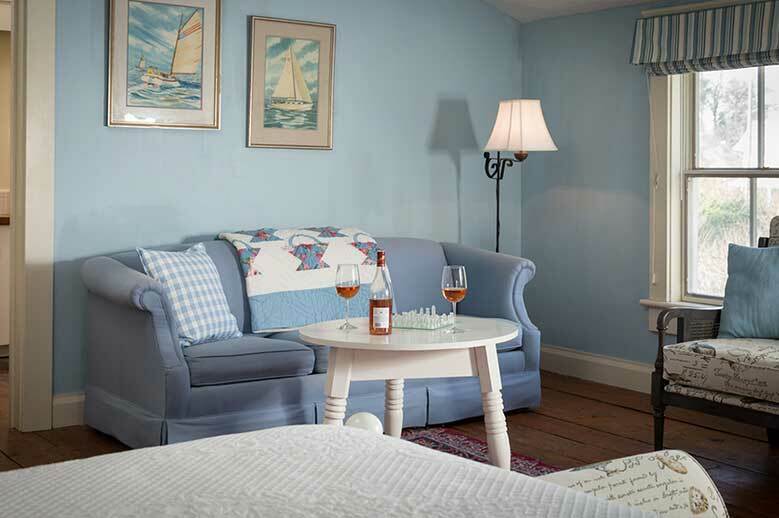 The Yeopim Suite is located on the second floor of our romantic North Carolina hotel is towards the back of the house. 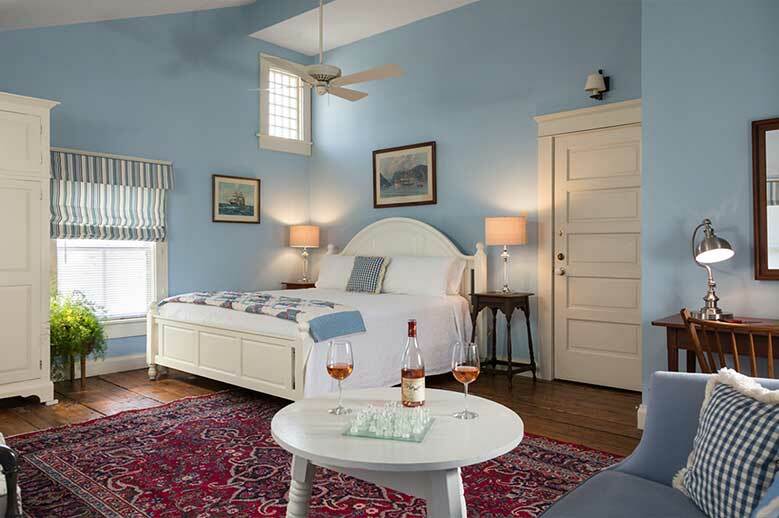 A large room with cathedral ceiling and upper level “packhouse tobacco barn” windows, it is one of our premier rooms and a favorite with repeat guests. 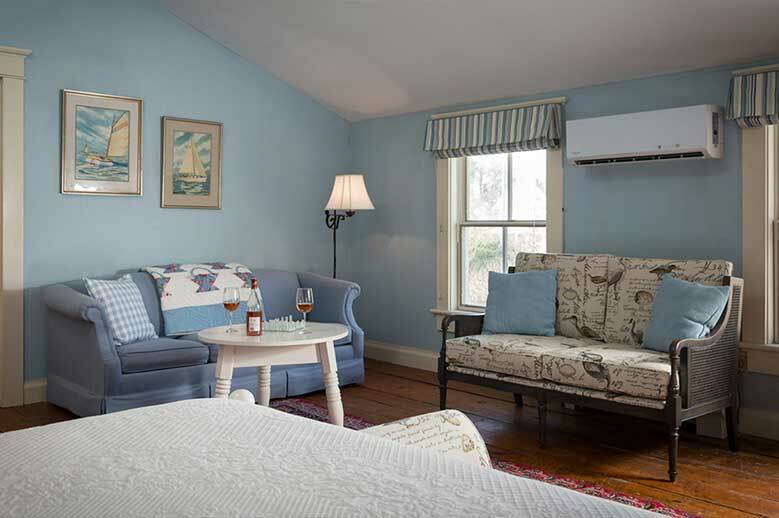 It features a king sized white cottage bed with premium mattress, hand pressed linens and quilt. 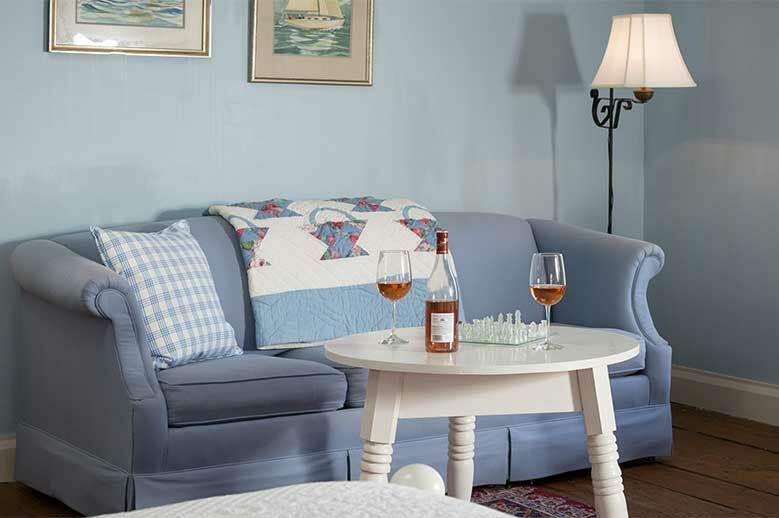 The soft, soothing blues and ship motif provide a restful backdrop in the oversized sitting area with a sofa bed for up to two additional guests. The large bathroom with skylight has a walk-in shower, separate tub and oversized vanity. Writing desk, premium towels and robes. 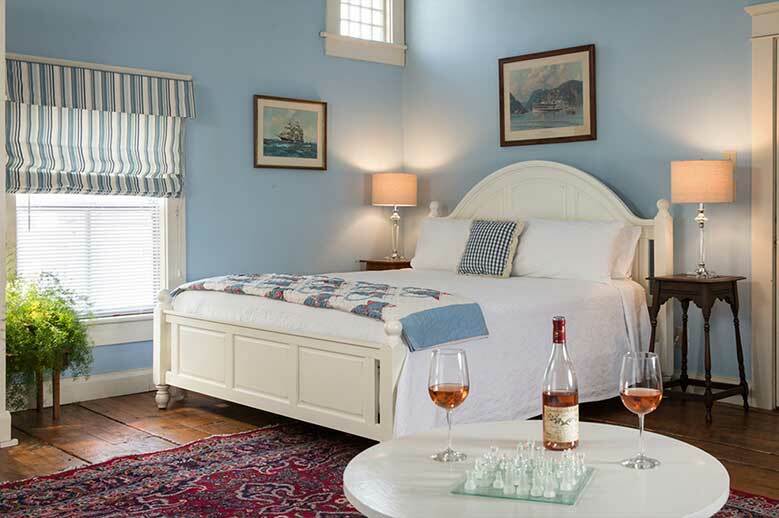 View our packages and specials and join us for an incredible romantic getaway in North Carolina. Spa, roses, chocolates and a couples massage.